With an hour of racing complete at the 2018 Rolex 24 Hours at Daytona, it’s a Cadillac 1-2-3-4 out front, the #5 Action Express DPi V.R of Filipe Albuquerque leading the way. From the start, the Wayne Taylor Racing Caddy led from Pole with Renger Van Der Vande aboard, the Dutchman creating a small margin out front while the chasing pack squabbled for places, but the 2017 Rolex 24 winners lost the lead at the first round of stops. Van Der Zande brought the car in a lap before the rest of the Prototype field, and emerged second after everyone got back in sync. 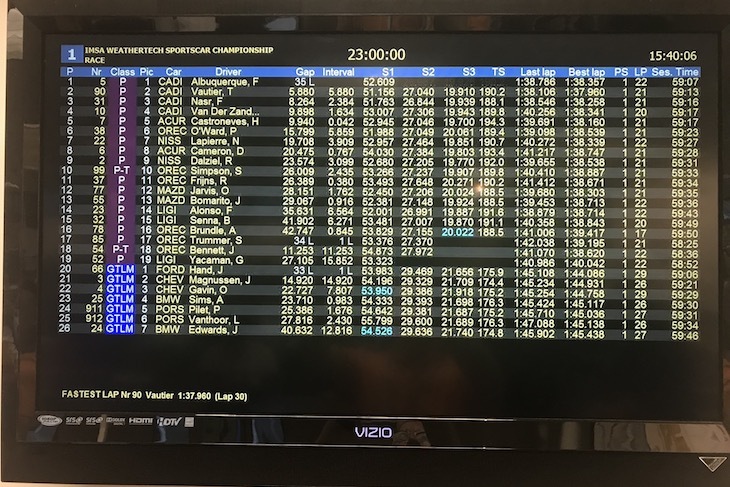 As it stands, Van Der Zande is second, with Tristan Vauiter in the Spirit of Daytona Cadillac third following a late move on Felipe Nasr in the sister Action Express car in the final 10 minutes of the hour. Behind the Cadillacs, the #5 Penske Acura of Helio Castroneves is fifth, the IndyCar star running second from the start, but gradually falling down the order before the stops. 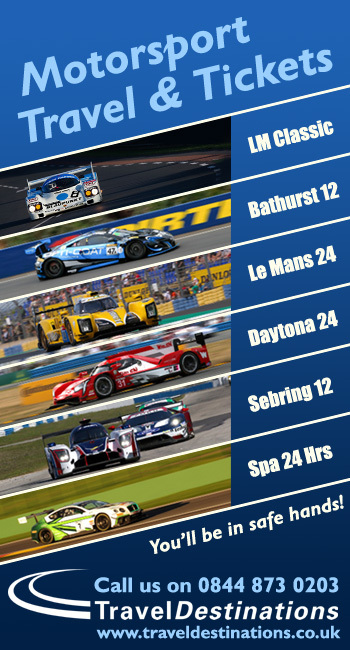 The #38 Performance Tech ORECA is sixth, Pato O’Ward and the team representing the highest place LMP2 team in the field. 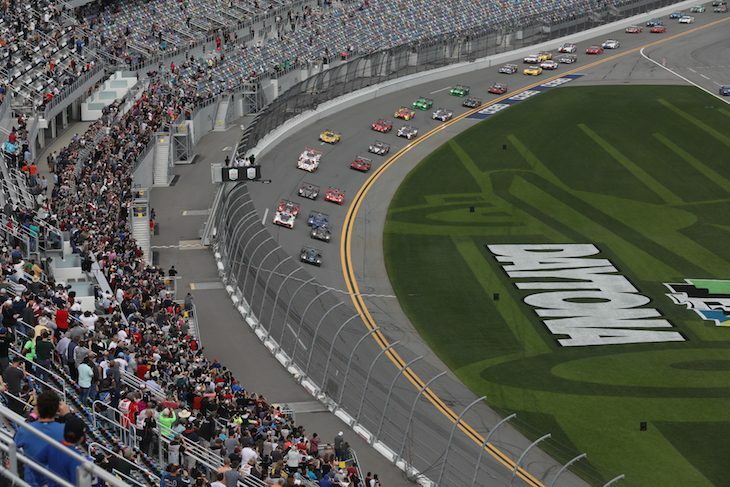 In GTLM, the #66 Chip Ganassi Ford leads, and led the pack for the entire hour, unchallenged with Joey Hand driving. Initially it was a Ford 1-2, until the #67 lost time in its first stop after Richard Westbrook complained of braking issues and is down to last in the class. Second place was therefore inherited by the #3 Corvette Racing C7.R of Jan Magnussen, the Dane, who lost the lead at the start, spent much of the hour battling with Oliver Gavin in the #4 sister car. The pair swapped places twice, the #3 leading the #4 by the end of Hour 1. Outside the top three, Alex Sims has hauled the #25 BMW Team RLL M8 to fourth after a late move on Patrick Pilot in the now fifth place #911 Porsche. The #912 Porsche is sixth. 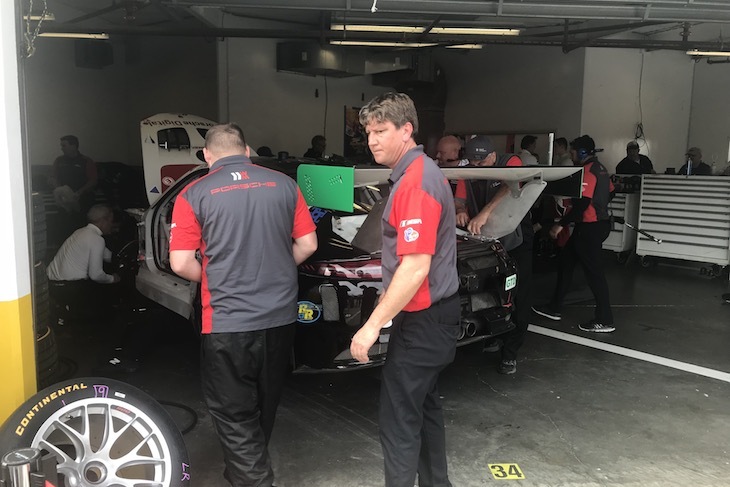 Leading GTD is now the Land Motorsport Audi, the car rising to the top after the first stops with Jeff Schmidt taking over from Sheldon Van Der Linde at the stops. Behind, the #14 3GT Racing Lexus IS second, Dominik Baumann climbing into the top three after running fifth at the start. And completing the top three is the Spirit of Race Ferrari, which lost the lead in the opening laps to the Miguel Molina in the #82 Risi Ferrari, and dropped to third after the stops. The #15 3GT Lexus RCF GT3 is now fourth, with the #11 Grasser Lamborghini fifth, after a remarkable opening stint from Mirko Bortolotti, who drove the car from last on the grid to 12th before the stops. The class saw drama early, with the Wright Motorsports Porsche going off before the start of the race. The team told DSC that Robert Renauer went off on his own at the Kink on the formation lap. The car suffered heavy front and rear damage, as a result of the impact, and is still being repaired into Hour 2. A tough break for the team.